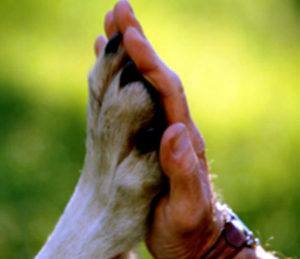 HOW CAN ANIMAL COMMUNICATION BENEFIT MY DOG? Do you have a dog with a behavior issue and want to know why he is doing what he's doing? Or have a rescue and want to know more about their past and how you can help them? Our dogs speak to us, but many don't know how to listen to what they are saying. Our animal communicator not only listens to our dogs, but can also help with many issues that dogs may be feeling. Call us to reserve a space for an incredible discovery about your furry family! Behavior problems can often be changed once you know why they are happening. Biting, Barking, Anxiety, Destructive behavior, going to the Bathroom in the house. Hearing the animal's perspective helps you find a solution. Health issues - Symptoms or information from your animal may be useful to your vet. Your animal may tell us that he/she feels better with one treatment over another, but it is still between the owner and the veterinarian as to how the animal is to be treated. Death and Dying: It is difficult to make a decision about your pet's future without knowing what it wants. Communication can help with that. Upcoming changes: You may want to tell your animal that you are moving, divorcing, bringing new people/animal into the house or someone is leaving; like a child going to college, you are going on vacation or your daily schedule is going to change. This can help reduce the amount of anxiety that your pet may experience. Knowing what their favorite food is. Knowing what activities they prefer and those they don’t like. Knowing what you can do to make your pet happier. Knowing why your pet is submissive or aggressive towards animals or people.